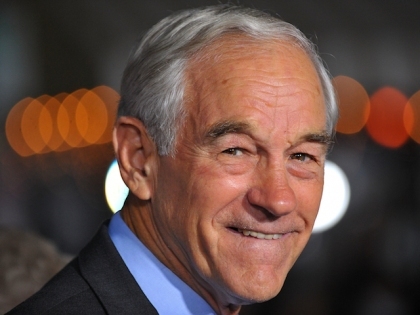 Eric Dondero, a former aide to Ron Paul, made observations on Paul's foreign policy and his argument will be part of our discussion in answering the question on how to describe Ron Paul’s policy. Is Ron Paul an isolationist or a non-interventionist, and is there a significant difference between the two or simply a mechanism to put a positive spin on a serious disagreement with Ron Paul and other Republicans? Libertarians have rejected the idea that they are isolationists but prefer the term non-interventionist. The question is to what extent is what Paul represents an isolationist or non-interventionist view. In an interview, Ron Paul noted “An isolationist is a protectionist that builds walls around their country, they don’t like to trade, they don’t like to travel about the world, and they like to put sanctions on different countries. So some of the people who call me that, are actually much more in favor of sanctions and limited trade, they’re the ones who don’t want to trade with Cuba and they want to put sanctions on anybody who blinks their eye at them. And yet, the opposite is what we believe in, we believe Nixon did the right thing by opening up trade doors with China, because that is when we quit killing each other and we are more at peace, which we better be, because they have become our banker. So non-intervention is quite a bit different since what the founders advised was to get along with people, trade with people, and to practice diplomacy, rather than having this militancy of telling people what to do and how to run the world and building walls around our own country. That is isolationism; it’s a far cry from what we believe in”. For Libertarians, free trade has been an essential aspect of their foreign policy. In the 19th century, the British foreign policy was in part based on the following premise, keep any nation from dominating a European continent, keep the sea lanes open for trade and end the slave trade. After the Napoleonic War, Great Britain was financially exhausted but over the next century, the British government actually reduced government spending as portion of the economy by two thirds so 19th century showed one could run a essentially libertarian government and an empire. It could easily be said that only a libertarian government or limited domestic government is capable of allowing a nation to be a significant player worldwide. Free trade allowed Great Britain to expand their influence worldwide while helping them to become the economic center of the world. In summary, Ron Paul supporters will argue that their support for free trade and willingness to be involved in an international trading system would indicate a rejection of isolationism. On free trade, Ron Paul and libertarians reject Pat Buchanan's view on trade since Buchanan rejected free trade in the 1990’s. Another aspect where libertarians would be supportive of a liberal trading system is in the free movement of people. A true libertarian would favor increasing legal immigration and view immigration as a plus for the economy, another point that Pat Buchanan rejected in his various runs for the President. The reader can decide if Ron Paul is an isolationist based on his conversation with Dondero or take him at his word that he is non-interventionist. His supporter’s make the case that Paul is more non-interventionist than isolationist but Dondero will argue that it is not so simple and there are cases in which non-interventionists can become isolationists. Dondero noted that Ron Paul nearly voted against the original resolution following 9/11 that preceded America’s incursion into Afghanistan, but he did vote yes. So is this a man who is an isolationist or a believer in non-interventionism? Is there a real difference? Tom, you can't take Eric at his word, they are political rivals. Ron Paul would defend our country in line with the constitution. Congress has the power to declare war, not the president. If we were faced with an existential threat, yes Paul would make the case to confront that threat. The problem is people have different terms when it comes to existential. For instance some people think we should be worried about Iran even though they don't have the military capability to reach our shores. And some people are more interested in defending not the US but Israel for religious reasons. People need to draw the distinction and realize this. People like Joe Lieberman, Newt Gingrich, and anyone else that calls themselves Zionists will defend Israel over the US any time of day. Problem is, that isn't very American. Is there a difference between North Korea and Canada? Do you think Greenland is a isolationist country? how about Norway? Was George Washington an isolationist? His fair-well speech: "The great rule of conduct for us, in regard to foreign nations, is in extending our commercial relations, to have with them as little political connection as possible. Europe has a set of primary interests, which to us have none, or a very remote relation. Hence she must be engaged in frequent controversies the causes of which are essentially foreign to our concerns. Hence, therefore, it must be unwise in us to implicate ourselves, by artificial ties, in the ordinary vicissitudes of her politics, or the ordinary combinations and collisions of her friendships or enmities." How about Thomas Jefferson "peace, commerce, and honest friendship with all nations, entangling alliances with none." James Monroe and Thomas Paine must have also been isolationist according to your logic. They both expressed a non-intervention foreign policy as did most all the founding fathers of this nation. They understood what brought down the Roman Empire and every other "great" nation before us. That's why the President does not have the authority to wage wars without a declaration from Congress. Call it whatever you want but read the constitution and you will find that Ron Paul's foreign policy is right on with what the founders intended. The only people that don't see that have been totally fooled by the neocons or are just plain Anti-American!